No muss, no fuss. That's what these 18pt chipboard covers are best for. They add solid support for your projects. What's great about these is that they're made from 100% recyclable material and they can in turn be recycled. 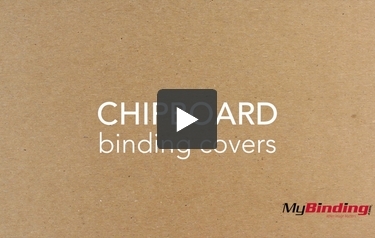 And since most punching machines can't punch chipboard, we can do it for you! Plus, we also offer 18 different sizes to accommodate any size project you might have. They come in packs of 25, so you'll have more than enough to work with! These covers are excellent for strengthening any proposal, presentation, report, or even work notebooks.